If you are coming from Nikka's Blog you are on the right track! 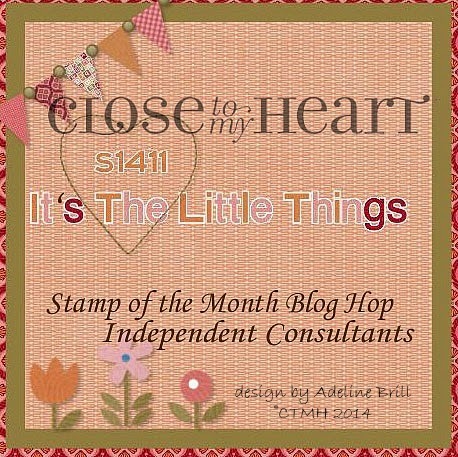 There are over 60 Close To My Heart Consultants showcasing this CUTE stamp set called, "It's the Little Things". If you were to get lost along the way you can find a complete listing of participants by clicking here. I have been creating with this stamp set for a few weeks so needed something "different" to showcase during this blog hop. I decided to check out my other stash and decided to implement the "Treasures of the Heart" envelope included in the "My Crush Besties Assortment" as shown below. I used a white card base and a black matte for the card front. 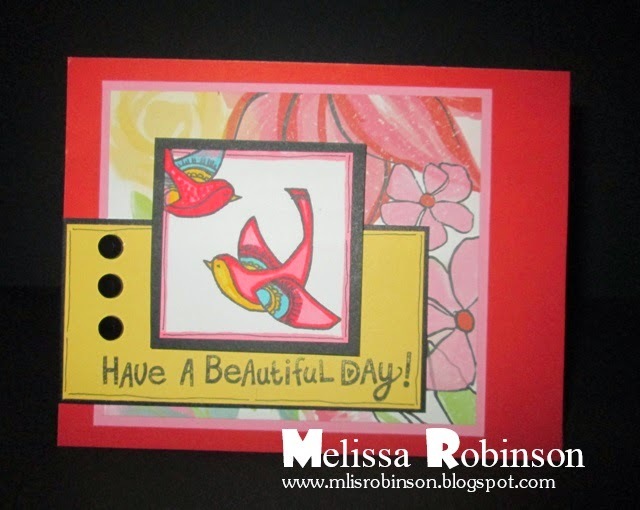 Using Canary, Pixie and Sweet Leaf inks, I stamped and fussy-cut several images from the stamp set. Be sure to let me know what you think of my creation and then head on over to Regina's Blog to see what she has up her sleeve! Thanks for stopping by! 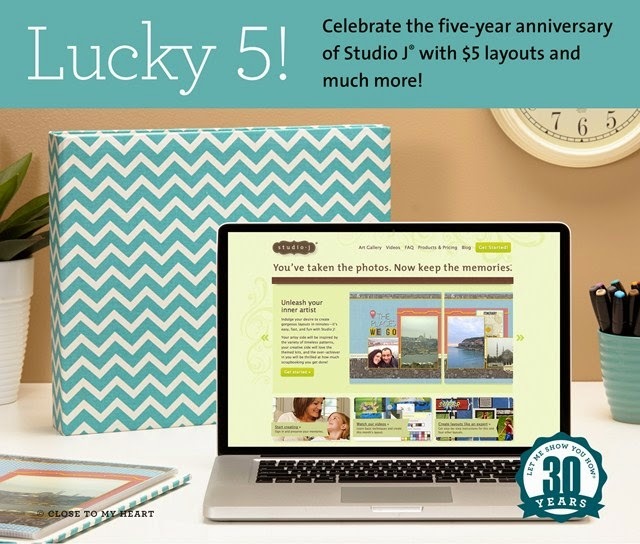 Celebrate five years of Studio J and get your layouts, in November, for just $5! I am sharing this campaign with you now so you have plenty of time to create your layouts in order to take advantage of this fabulous offer! There are five amazing ways YOU CAN WIN through Studio J and all Close To My Heart social media! All layouts purchased in Studio J, throughout the month of November are just $5! That is a savings of over 25% retail! You can become a lucky winner because every fifth order placed during November receives a FREE surprise Close to My Heart accessory in the shipping box! The accessory has a retail value of $5 of more! Wouldn't you love to "spruce" up your layouts a bit with some fun bling?! Five lucky people will receive "golden tickets" in their Studio J box that will be redeemable for one of Close To My Heart's new D-ring albums* loaded with 10 Top Load Memory Protectors. They are CUTE AND BEAUTIFUL (to be showcased on my blog soon)! How would you love to win one of them?! Simply create new, gorgeous layouts in Studio, select your favorites, and then post pictures of them on Close To My Heart's Facebook page using the hashtag #ctmhlucky5. After November 30, five lucky winners will be selected from the entries based on their artistry and creativity and each of the winners will receive their own D-ring albums* loaded with 10 Top Load Memory Protectors! Take your Studio J artwork and post a picture of it on Instagram using the hastag #ctmhlucky5. Just as it is with Facebook (#4 above), after November 30, five lucky winners will be selected from the entries to received their own D-ring albums* loaded with 10 Top Load Memory Protectors! twork using the latest papers and embellishments from Close To My Heart. With so many ways to win, five may be your new lucky number! Log in to Studio J, creating a FREE account, and start creating today! Click HERE. Contact me with any questions or let me know if I can assist you in creating layouts! Enjoy the rest of your day. *Offer valid November 1–30, 2014. Pattern and color of new D-ring album to be given to winners will be at Close To My Heart’s discretion based upon availability. 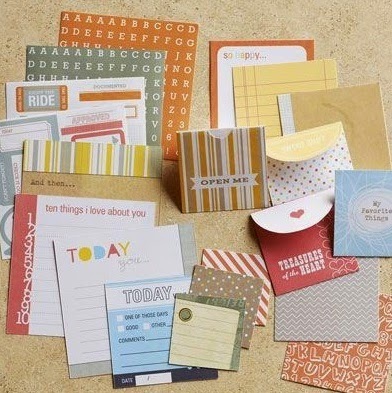 New kits available in Studio J® on November 1 include Confetti Wishes, Snowhaven, Seaside, Pathfinding, and Scaredy Cat. No tax or shipping will be charged on the free item(s). Studio J layouts ship in a protected box that can hold 4 to 50 two-page layouts. For additional information about shipping/handling, please visit StudioJ.com > Products and Pricing > Shipping Options. We had a great time gathering at Crafty Creations Retreat in Mansfield, Texas for a day-long team training a couple of weeks ago (October 18). The day was jam-packed with various holiday projects and lots of fun! I LOVE getting together with my team and make every attempt to do so when I can. The fun, laughter and creativity abound at every gathering opportunity and it never lasts long enough, nor happens often enough, but I will take what I can get. Contact me if you would like to join the fun! I have team members across the country and do what I can to remain in contact with them in support of their businesses. When this dispenser showed up in our newest idea book, Annual Inspirations, I thought, "Okay...that's nice..." But you know what pushed me over to buy one? It looked CUTE! If you know me well, sometimes it doesn't matter the purpose as long as it's cute. LOL Well...now I love the purpose - and it's still cute! They really are completely functional and I love being able to cut off the amount of washi tape I need using this fun tool. 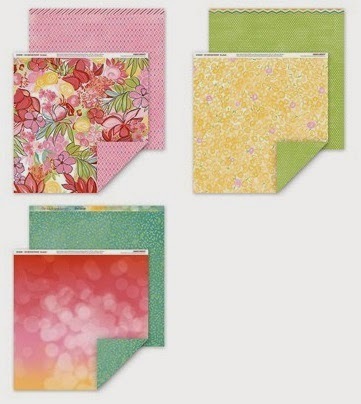 As described in the video below, it holds 1 - 1" or 2 - 1/2" washi tape rolls and contains a removable magnetic wall that ensures easy loading and the ability to connect multiple dispensers side by side. Watch this video so you can see how easy it is to use! Then, check out my special offer. 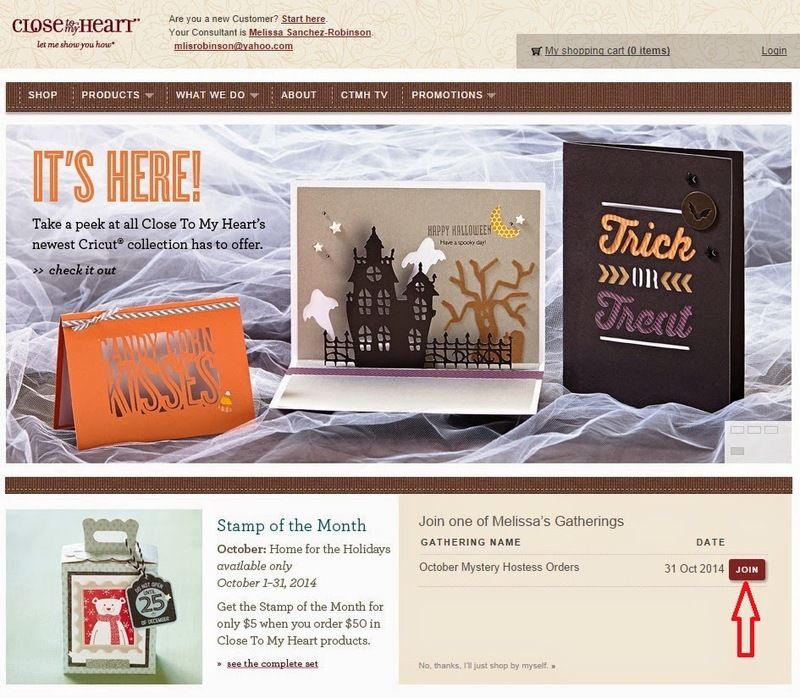 By placing your order through the "October Mystery Hostess Orders" link (shown below), your name will be entered in a drawing for FREE products once the orders reach at least $150. The order remains open through the end of the month. 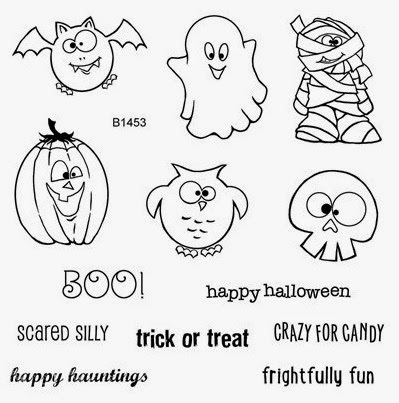 Our owner and CEO, Jeanette Lynton, has placed a printable Halloween sign just for you! One of my downlines printed it and put it in a frame to display in her home and it looks fabulous! Can't beat an inexpensive home decor item! Visit this LINK to download your PDF copy today and check out all the fabulousness contained on the blog. It's a new blog and already contains some FUN stuff! 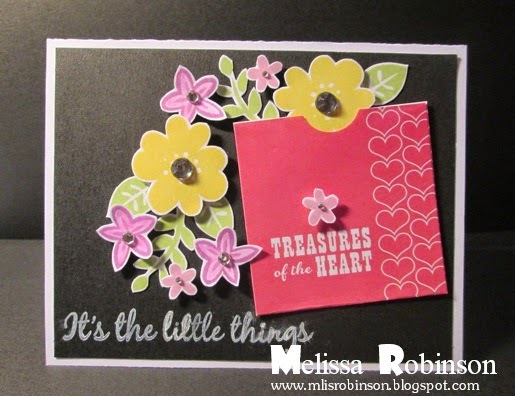 In order to show you the cuteness of this stamp set, I decided to create some fun items using it. The first treat bag I made was inspired by my friend, Pamela O'Connor. I did change the measurement a bit to fit the Hershey's Nuggets. The "tray" measures: 3 1/2" x 5" and I scored each long side at 1/2". Then, I placed the "tray" in a Pretzel Bag (bought at Walmart for $1.97 - found in the candy-making aisle). 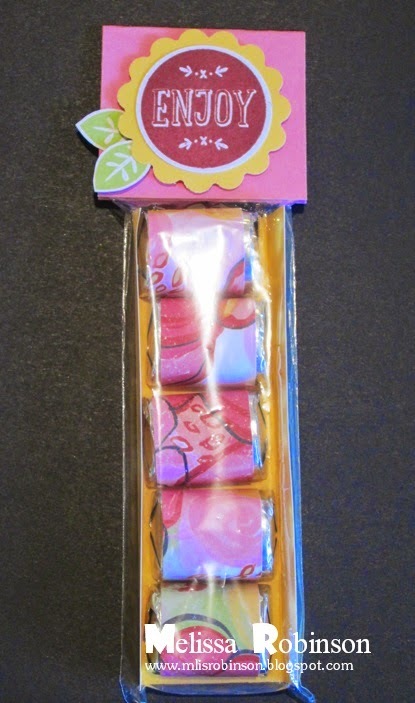 I cut the pieces for the nuggets to measure 1" x 3" and wrapped them tightly around each piece of candy. The "topper" was cut to measure 2.25" x 4", was folded in half, and stapled to the bag. You can do anything you want for the focal point and you can see how I turned this image into a flower. Fun and SIMPLE! For this yummy treat, I used our Tulip paper bags and folded it a little more than half way. Then I cut a 1/2" x 10" strip as a wrap-around, added some Silver Glitter try and a focal point and here you go! You can put some mini treats in this for a cute goodie for anyone. Thanks for stopping by and let me know if you like what you see! So...it's my anniversary but YOU get to benefit! 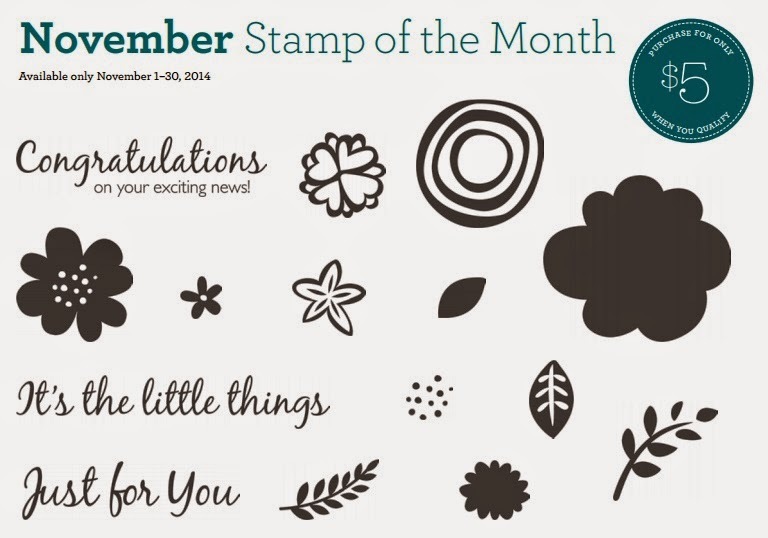 Read this flyer with complete details on how you can get a stamp set FREE as my appreciation for your business. This offer is valid today through October 25, 2014. You can click on the image to see an enlarged view. Feel free to contact me with any questions. You are welcome to forward this offer to any of your friends/family members who you think may be interested. I would love the business and there will be a gift of appreciation for referring them to me once they make the purchase. :) Be sure to have them contact me to tell me your name when they do! 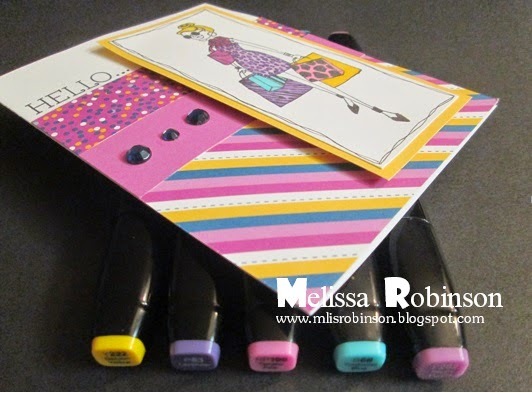 Stop by my blog tomorrow for details on how I created these fun goodies using this stamp set. You can view the stamp sets here. Thank you for joining me on my CTMH journey! Here's looking to more years of CTMH fun! This month we are showcasing "Handmade Hues", a technique highlighted on page 66 in our Annual Inspirations idea book. This technique encourages you to use our ShinHan markers to turn "images into picturesque embellishments". If you are coming from Wendy's Blog you are on the right track. Thank you for joining us! 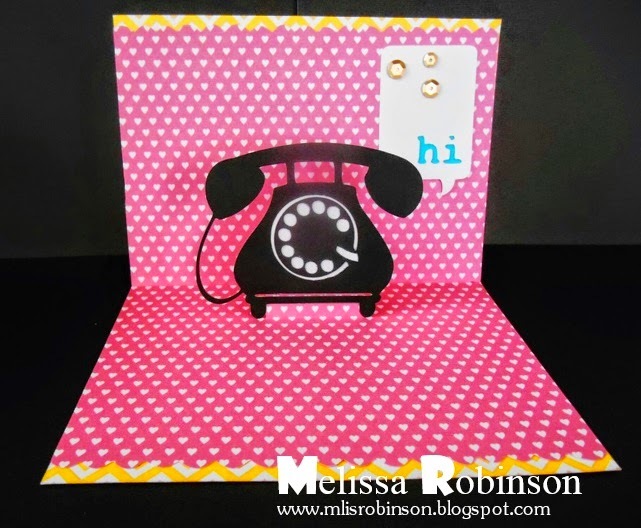 I had fun creating this card with the Brushed paper packet. I was proud of myself for using the red color to outline the bird and then using the pink to shade him/her in. I love the look it gives off and it really photographed well in these photos. The card design came from our "Wishes" How-to book. I like it because it was simple and allowed me to showcase the markered images and patterned paper with ease. 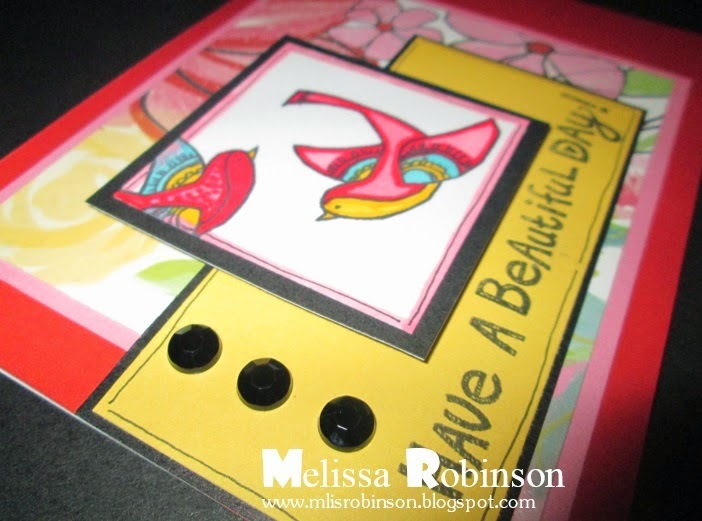 I added a few Black Sparkles to finish off the card and couldn't resist stamping the sentiment, "Have a beautiful day!" 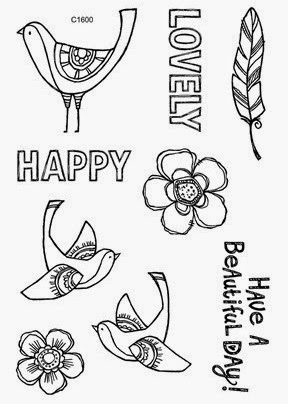 I used the Happy Birds stamp set and Brushed paper packet - which is absolutely fun and beautiful! I do wish you a beautiful day and hope you will hop on over to Michelle's Blog to see what she has done with the ShinHan markers. I have seen what I would call "clean" cards and thought I would give it a try. I love the simplicity of the look and talk about quick-to-put-together; you can't beat that! 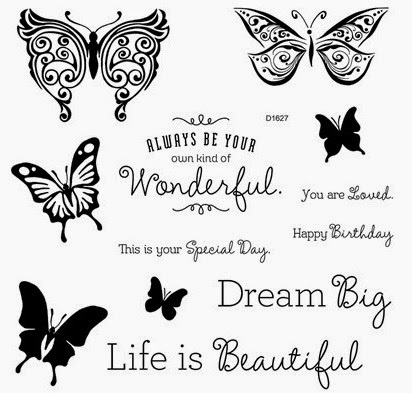 I used the "Think Big" stamp set (shown here) which has some beautiful images. I have a feeling I will be using this stamp set quite a bit. Gotta love the various sentiments included with this set. I stamped it in Black Ink and then used the ShinHan Cherry Pink Marker to color in the butterfly image. I added some of our Lagoon Hearts Washi Tape for a banner strip, with a dovetail cut, and then added some Black Sparkles (to the butterfly) and Aqua Dots (to the bottom of the card) for some added accents. I hope this card inspires you to realize that your artwork does not have to be overly involved and take large amounts of time. This card will go in the mail tomorrow to a friend celebrating their birthday later this week. I hope she loves it! 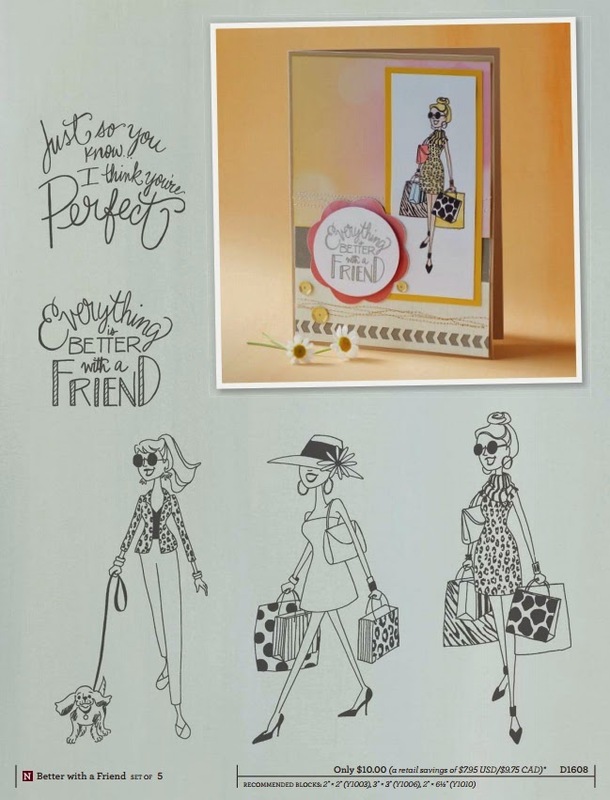 You are going to have fun checking out some fun artwork showcasing the NEW Cricut cartridge, exclusive to Close To My Heart, called "Artfully Sent". If you are coming from Melinda's, "If You Bling It", Blog, you are on the right track. You can also find a complete listing of participants on her blog. There are so many options for this cartridge and while it is card-focused, and I have used it for that, you will find it can be used on all types of projects. Our Paper Fundamentals paper was used to create this card, both inside and out, offering nice patterns and texture with no effort by me. 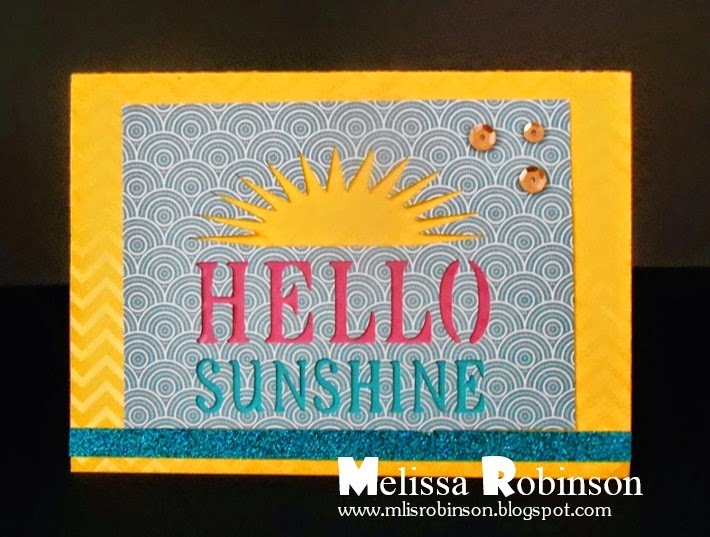 The Cricut cut out the sunburst and sentiment and cardstock was simply placed behind Hello and Sunshine to give off a different color. Super simple! A few gold sequins and some Teal Shimmer Trim were also used. For the inside, it was lined with this cute heart pattern and the phone, as well as the word bubble, was cut using the cartridge. A circle of white cardstock was placed behind the dialer to create the look of a true phone and some color behind the word "hi". I cannot wait to see what else I can create with this cartridge. It can be yours for just $50 when you host an online gathering of just $250. (You can also buy it outright for just $99.) Contact me for more details. Hop on over Belinda's Blog to see what she has in store for you but don't forget to leave a comment before you do. Welcome to our Blog Hop where we feature 42 CTMH Consultant's artwork showcasing our new markers. If you are coming from Dana's Blog, you are on the right track. Should you get lost along the way, you can find a list of participants on Melinda's Blog. 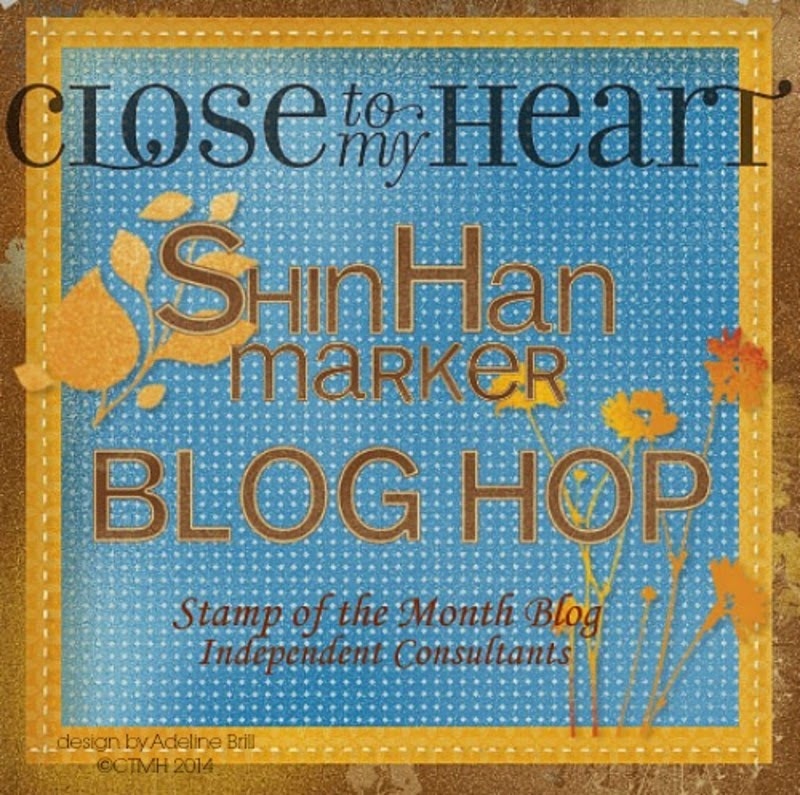 Close To My Heart is offering a new marker line called ShinHan. They are dual tipped, one broad tip and one fine tip. While I know I have yet to tap into their potential - in getting some good shading going - I do love them! They are a fabulous addition to our product line and while they do not match our exclusive color palette, the colors we do offer compliment them very nicely. I used the "Better with a Friend" stamp set, one that is exclusive to Hostesses and super easy to earn, and five of our new markers: Y222 Golden Yellow, P83 Lavender, RP198 Tender Pink, B68 Turquoise Blue, and B282 Peony Purple. I incorporated the Confetti Wishes paper packet and love the "attitude" of the girls on this stamp set. 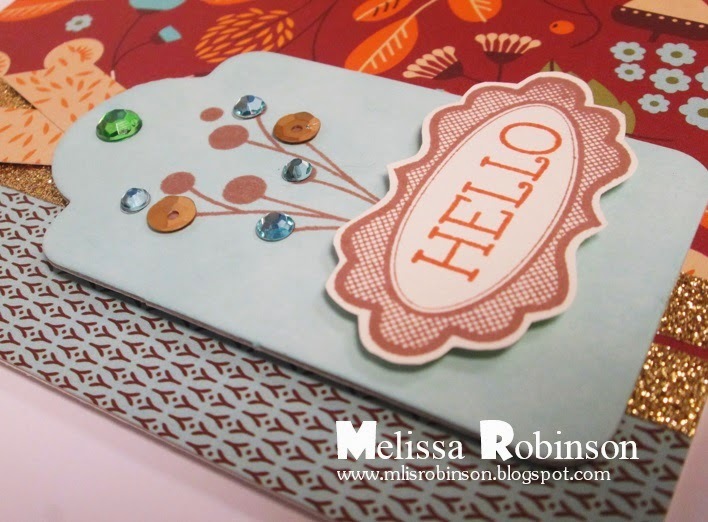 I stamped "hello" from the "Have a Happy Day" stamp set and added some Blue Sparkles. I always feel the need to "pop" something off the card using our 3-D Foam Tape and you can see I did so here with the focal point. I LOVE the added dimension the foam tape provides. Please let me know what you think of this artwork and then hop on over to Brenda's Blog and check out her creation. We appreciate you joining us! 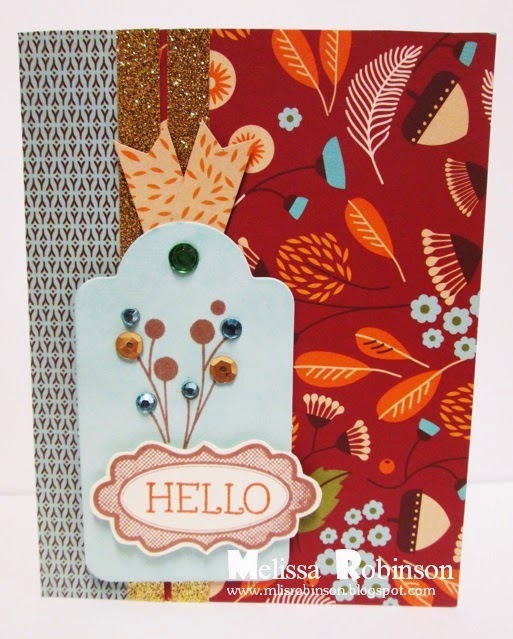 Thank you for joining my team, the "Heartfelt Sentiments", as we showcase the fall paper packet called "Pathfinding." It screams fall and a time for us to reflect upon our blessings. I enjoy the fall weather and the reason for the season but I am not always about the fall colors. I love the bright, summer colors so this color scheme is somewhat of a stretch for me but once I got this paper in my hands I thought otherwise. 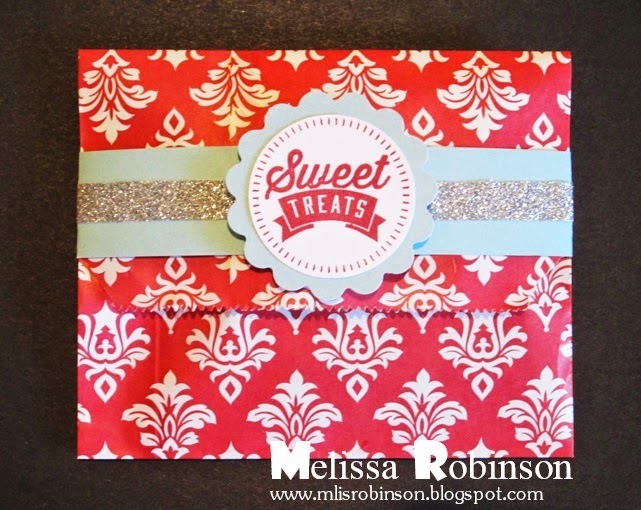 I incorporated three patterns from this paper packet and really am pleased how this card came together. I used one of our dimensional elements to add visual appeal to the focal point. I applied Glacier ink to the tag, stamped the images and then used some embellishments to finish it off. It is definitely a card fitting for this time of the year and I hope you like it. Let me know what you think of my creation and then head on over to Marianne's Blog to check out her fun artwork. I was just sitting around wanting to create a little something using the Black Chevron paper contained in the Paper Fundamentals Basic Assortment and decided, "Oooh! What if I colored the stripes?" The paper does have a resist pattern that allows for some fun techniques so I did just that. Alternating the color of the chevron patterns, this is what it ended up looking like. Fun, right? Can you imagine doing so with other color combinations for different themes? I applied a little bit of Whisper ink to the inside of the mummy and ghost images for some added dimension. 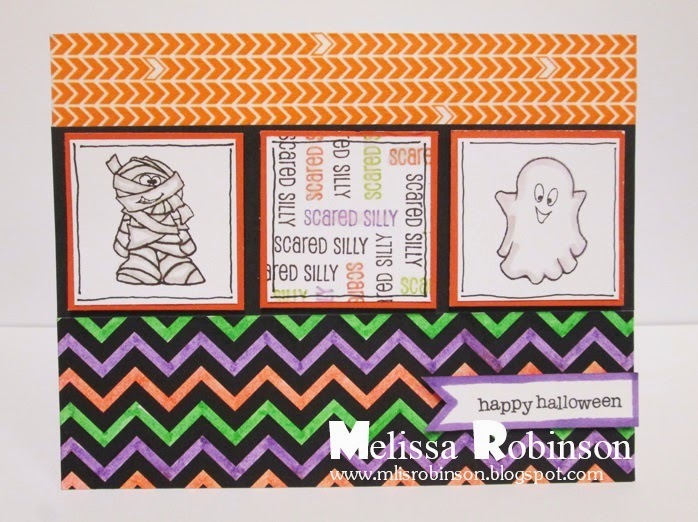 I stamped the "scared silly" sentiment multiple times over the center square, using various coordinating ink pads, and adhered a strip of the Sunset Chevron Washi Tape to the top of the card. I think I have slowly fallen in love with Washi Tape! LOL Yeah...I was not too impressed when washi tape first debuted but it is all the rage now and I have slowly begun incorporating it into my various projects. It is so simple to use and easy to apply to any project. Plus, you gotta love the patterns and beautiful colors! Did you know Close To My Heart has a fun - and it is also cute - Washi Tape Dispenser? Yep! We sure do! 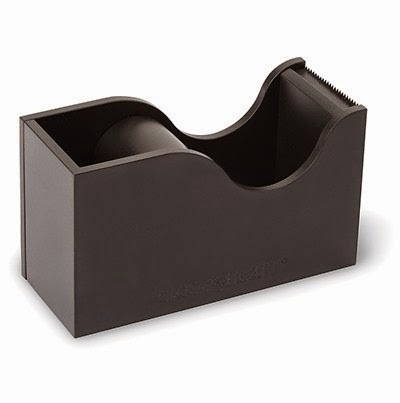 In fact, check out my blog post tomorrow with a fun video on how this dispenser is designed. Plus, it's just $6.95! It would make a great gift or is perfect for fitting inside someone's stocking. Here's wishing you a Happy Friday and fabulous plans for a wonderful weekend.